Ramon Massana was born in Ponts, Lleida, Spain in 1954. He obtained a degree in studio art from the University of Barcelona in 1983. 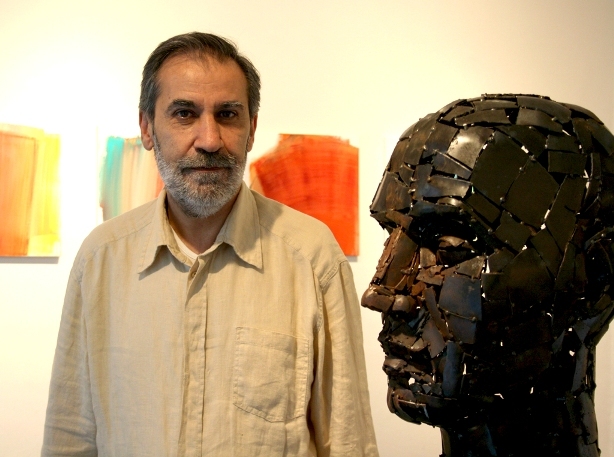 He is a sculptor and has been teaching sculpture and drawing since 1983 at the School of Arts and Crafts of the Deputy Government of Barcelona. He is married with Pilar Valeriano and they have one son. 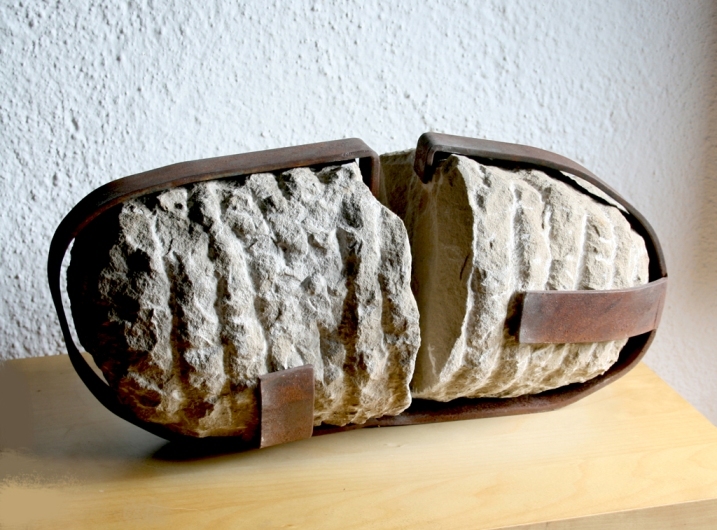 Ramon has participated in both national and international exhibitions. This year, in 2011, he had an exhibition together with his wife Pilar Valeriano at the Espai B Gallery in Barcelona and they also participated in the Arte e Fe (Art and Faith) exhibition at the Pons Foundation in Madrid. I try to select the most suitable material for the idea that I want to transmit. I use different materials like stone, wood, iron, and bronze. 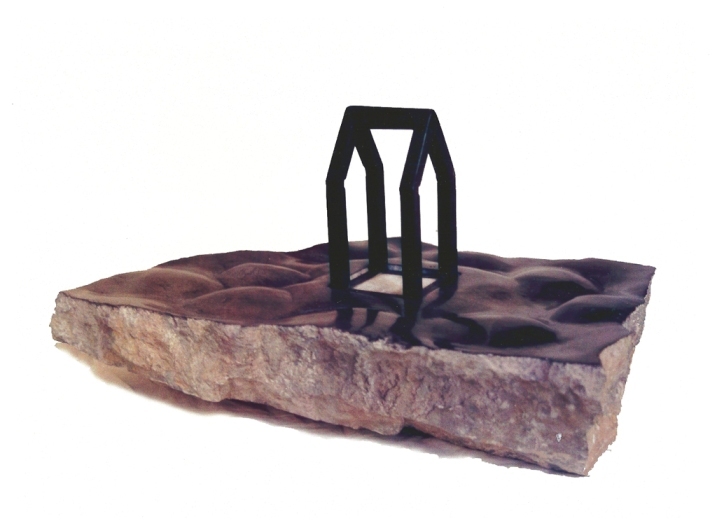 Some of my work has been carried out in mixed media: iron and stone, wood and metal, stones wrapped in wax, paper or metal – materials that each carry their own symbolism. In my latest works such as The man who walks, The horse, and The fish the process is essential to the meaning of the sculptures while also giving them unity. They are made of iron plates that were added piece by piece to build the sculpture - symbolizing a process of reconstruction as we as human beings are fragmented. I work from my personal experience, expressing spiritual and symbolical topics: stairs, a door, house, rock etc. But sometimes I start with an interesting shape. One topic that I have interpreted several times is the house, a symbol derived from the house on the rock in Matthew 7:24-27. 1. 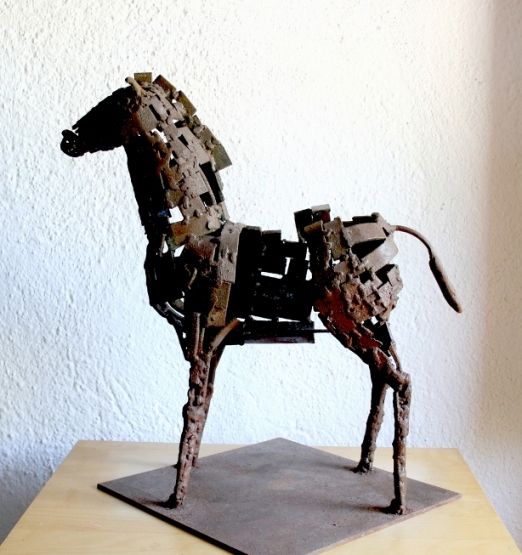 The Horse, iron, height 49 cm, 2008. A horse under construction, internal structure can be seen, it seems like unfinished. 2. 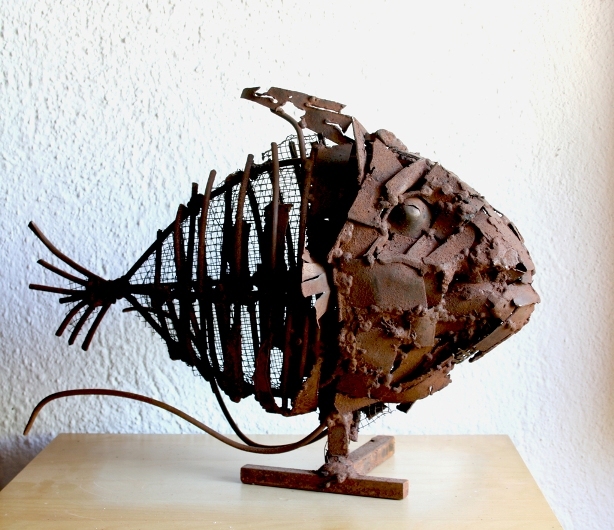 The Fish, iron, width 60 cm, 2009. Based on the extinct species Mene rhombea. It is a play of lines, mass and empty spaces. 3. 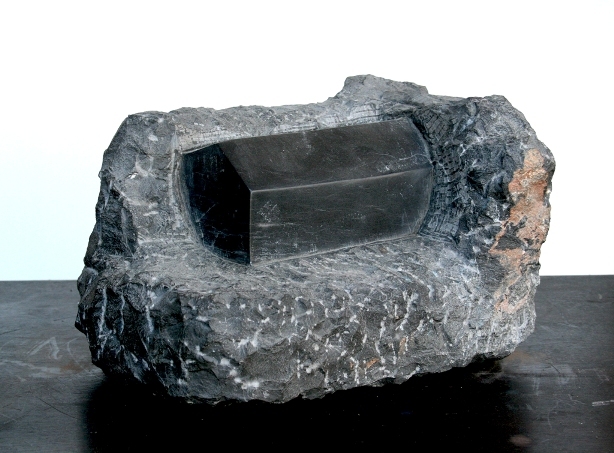 The house on the water, Calatorao marble, white alabaster and iron, 23x47x30 cm, 1996. The work is a reflection on the house on the rock in Matthew 7, 24-27. The iron house structure is constructed in a white alabaster square. 4. The house inside the rock, Calatorao marble, width 30 cm, 1998. The house incorporates a multiplicity of symbols and in this case in particular is putting our life-house next to the Rock, Christ.